Today I had the privilege of speaking at the Memorial Day commemoration event in Nixa Missouri to honor all of the servicemen and women from Christian County Missouri who served in the First World War. I am always honored to be involved in this kind of events, and it is great to see the war getting the focus that it deserves in American remembrance events. I was asked to give a short speech to give some background on the war, how America became involved, and how the war ended. Below you can find a transcript of that speech and an audio recording. On June 28th, 1914 the Archduke Franz Ferdinand, heir to the Austro-Hungarian throne, was assassinated in Sarajevo Bosnia, then part of the Austro-Hungarian Empire. He was killed by a young Serbian Nationalist named Gravilo Princips. Austria-Hungary would then blame Serbia, who may or may not have played a role in the assassination. After consultations with its ally, Germany, Austria-Hungary then sent an ultimatum to the Serbs which in essence asked them to surrender their status as a sovereign nation. Serbia, rejected this ultimatum, then reached out to Russia, who through treaty obligations was duty bound to come to the little nation's defense, and Russia then called upon France, who was bound by similar treaties. Over the next month, after diplomatic movements that have had entire books written about them, Europe was at war. Germany's war plan, the Schlieffen Plan, called for an invasion of Belgium, a neutral country, and that invasion would play a role in bringing Great Britain into the war as well. An important note is that these countries did not enter war unwillingly. The world of 1914 was very different than today. At that time the world still looked upon war as a heroic exercise, they were closer to the age of Napoleon than to us today. Over the next 4 years these nations, later joined by states such as Italy, the Ottoman Empire, Romania, and Bulgaria would experience a war nobody could have imagined. They did not know it at the time, but they were now engaged in a war that would cost them more than 18 million lives, with 20 million more wounded, not to mention an entire generation both mentally and physically scarred by years of trauma. The United States of America, while active in international politics, was not in the same position as today. There was little interest in joining the war among Americans in 1914. This was seen as just another European continental scrap, they had, after all, been fighting each other for millennia. The war was also very profitable to the United States economy, the European countries were ravenous for raw and manufactured goods. Coal, steel, guns, artillery, and most of all food were desired in massive quantities, and the United States and its economy provided. There was one country that did not benefit from economic interactions with the United States, Germany. Great Britain had put in place a blockade of all goods to Germany as soon as the war started. At this point such policies were illegal, countries were obligated to allow humanitarian supplies through blockades. Even after official complaints from the United States Great Britain did not change its stance. In 1915 this caused the Germans to lash out with their fleet of submarines, the infamous U-Boats, using unrestricted, sink on sight, submarine warfare to try and bring the allies to their knees. This campaign resulted in the sinking of the Lusitania on May 7, 1915, with 128 Americans killed. This caused the Germans to call of their U-Boats, until 1917 when they began a new campaign of destruction. This campaign would cause the United States to break off diplomatic relations, war was only one step away. Everybody knew that if America, the Great Neutral, entered the war, the balance of forces would be irrevocably changed. The United States had a population of 99 million in 1914, roughly the same as France and Germany, combined. The tension between the United States and Germany would come to a head when The Zimmermann Telegram, a message from Germany to Mexico and Japan promising territorial gains if they joined into a war against the United States was intercepted by the British and handed over to the Americans on February 19th 1917. However, even though the calls for war grew stronger among some circles of Americans there were still strong isolationist movements throughout the country. Perhaps the strongest of these was right around us in the mid-west. The Mid-West had large German and Scandinavian populations, both of which generally opposed the war. There has even been some research that points to the majority of Missourians favoring peace. In March the push for war just became too strong. On April 2, 1917 President Wilson, who had resisted calls to enter the war for years, and had even won re-election in 1916 under the slogan "He kept us out of the war", gave a speech to congress asking for a declaration of war. He would state the war would "make the world safe for democracy," a phrase that would go on to shape a century of American foreign policy. The United States was now at war, but it did not have much to fight with. In 1916 the United States army had a grand total of 130,000 men, only a tenth of our military today. The urgent need for expansion resulted in the Selective Service Act in 1917, the Selective Service System which is still in place today and drafting 2.8 million men into the Army before the end of the war. These would join the 2 million volunteers as the American Expeditionary Force. The Americans were adamant that these be formed into their own armies, not broken apart and fed into French and British units, and because of this no American units saw significant combat action until the Germans launched their Spring 1918 offensives. During the Second Battle of the Marne they were rushed to the front to fight at places like Chateau-Thierry and Belleau Wood. 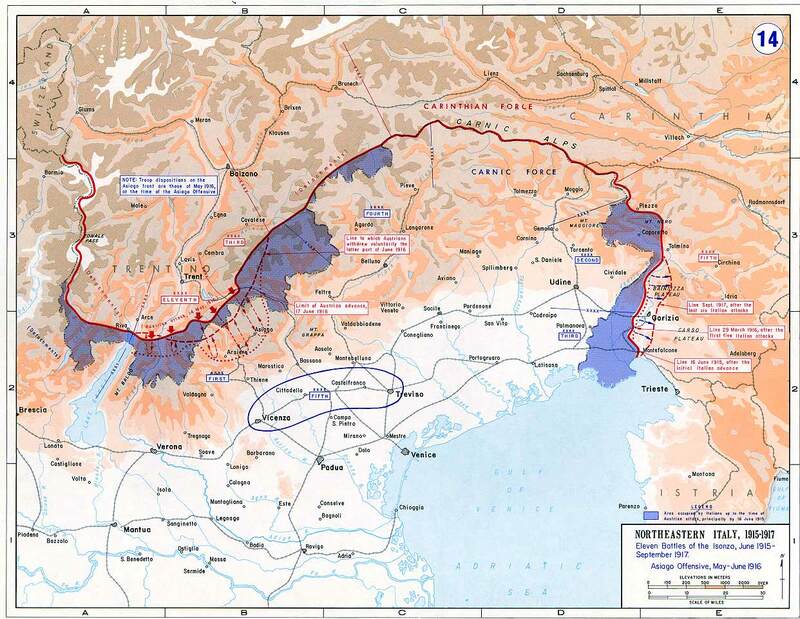 Then in September they would launch their first American offensive at the Battle of Saint-Mihiel which was the largest offensive operation by the United States armed forces in its history. While the American battlefield tactics were not always up to 1918 standards, there were often just too many Doughboys going forward for the Germans to hold back. Europe had fought itself to a standstill over the course of 4 years of war, in 1918 they were barely able to make good their losses at the front, when a fresh army of millions of men came streaming onto the battlefield, it became only a matter of time before it was over. On November 11th 1918, at 11AM, the armistice began. It would be almost a year before the Versailles treaty was signed, but there would be no more fighting. The war was over, but millions were dead. Russia had 8 million dead and wounded, Germany 6.5 million, France 6 million, the British Empire 3.5 million. The United States, just over 320,000. In comparison to the other countries it was, almost nothing, but in the context of American history it still ranks third, behind just World War 2 and the Civil War. However it is a lesser known area of American history, it is "that thing we did in Europe before World War 2." However there have been efforts to bring it more into the public eye. The National World War 1 Museum and Memorial, located in Kansas City Missouri, was recently renovated and gets my highest recommendation. The World War 1 Centennial Commission has been coordinating commemoration events have been happening all over the country this year. Just a few months ago the National Centennial Commemoration took place in Kansas City with representatives from countries all over the world in attendance. All of these are attempts to make sure that we remember the sacrifices of millions of men and women who went Over There and the millions at home who supported them in the War to End All Wars.